Accounting Resume Objectives, Are They Dead? I guess I do have a question for you about accounting resume objectives. I’ve heard it said that objective statements on a resume are a bit outdated and they’re all about what you want, rather than what the employer wants, which is most important. Do you have any recommendations about making a good objective statement and if they are still relevant on resumes today? Once again, fantastic question! One of the reasons I created The Bean Counter is because of the cult-like nature of accounting. Things are verrrry specific and not like other industries. The objective on a resume is especially important. The truth is, you don’t have to put an objective. BUT, if I was in your shoes, I would. Here’s why. Accounting employers have a few canned questions they ABSOLUTELY must know. While leaving them off your resume can be a good talking point, I’ve found putting all the information on the resumes shows you’re prepared, know the industry, and have a life plan. While that’s not exact, it’s by far the majority. For the full scoop on the hiring process for public accounting firms, start here. “I would work for audit or tax, I just need a job”. Not knowing what you want is like poison to a recruiter’s ears. They want someone who has an idea of what they want so they don’t change departments three months into their job! While some industries like art, design, and marketing may reward you for a multi-colored, multi-page, out of the box resume, accounting isn’t one of those industries. So stop. At the most you should have an “off-white” resume paper. No other colors (no ladies, not even pink)! But when the resume is just black and white, how can you differentiate? Oh you can. One of the simplest and most easy methods is to personalize the resume by adding the company name in your objective. It shows you’ve put the time, energy, and effort into this document and you want to work for one specific firm (even if it’s not true). While I put the specific office in the above example, it’s not a must, just a nice touch. I know it’s counter-intuitive, but the more specific you can be, the better! 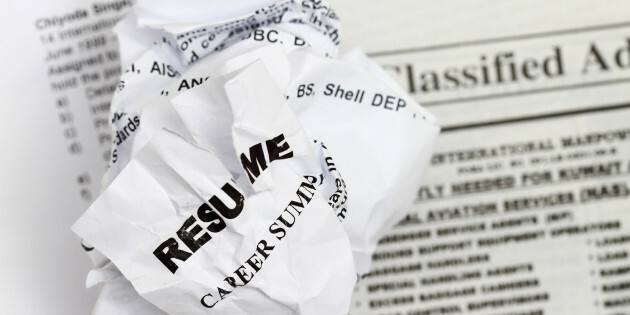 If it means you make 20 different resumes for the career fair, it’s a small price to pay for a starting $50,000 salary!